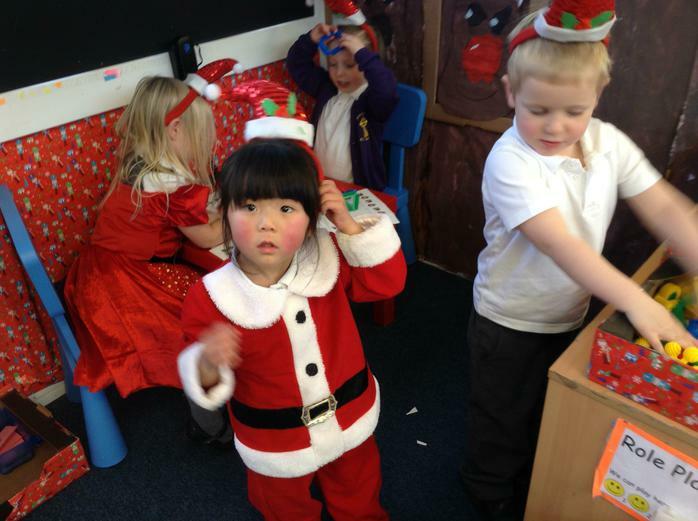 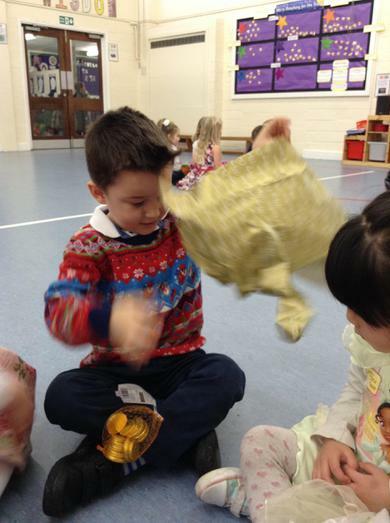 We have had a wonderful time in Indigo Class, leading up to Christmas. 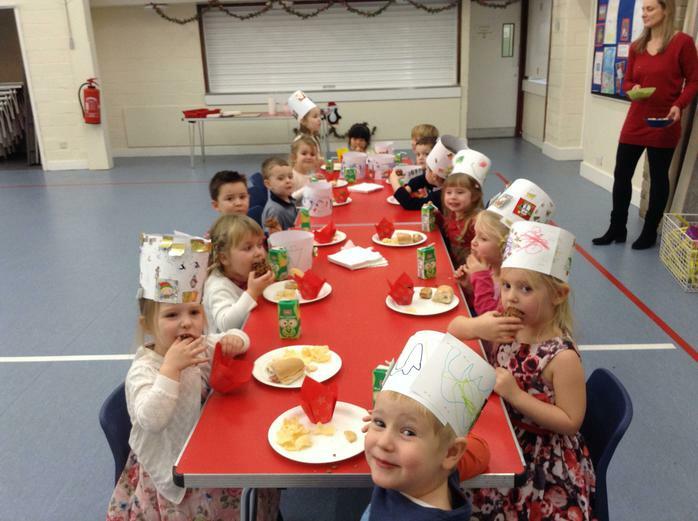 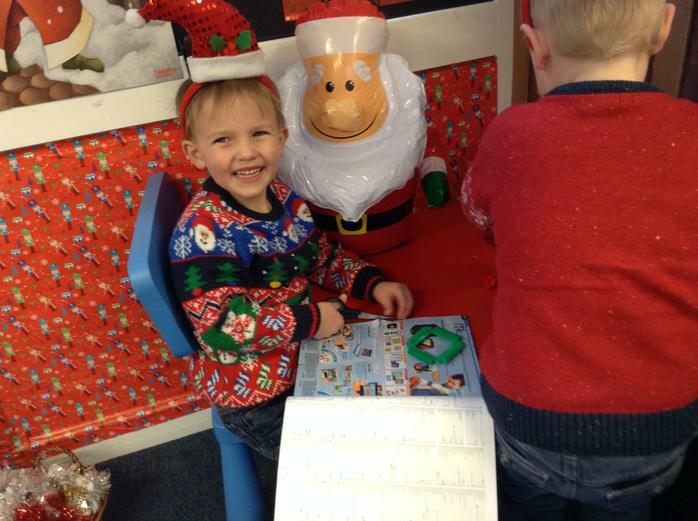 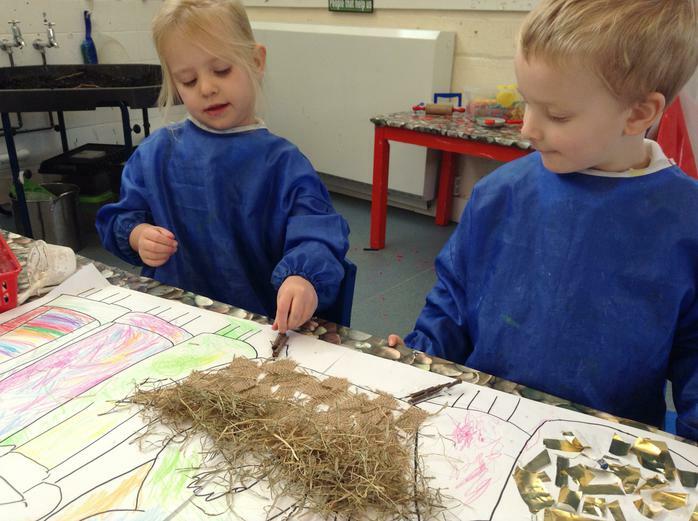 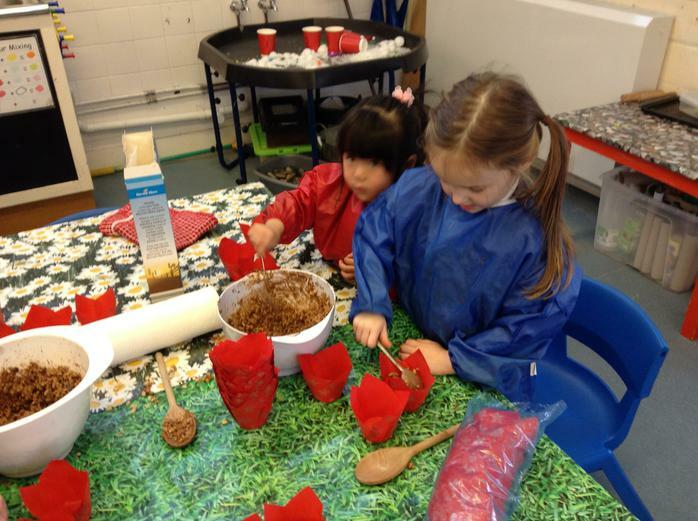 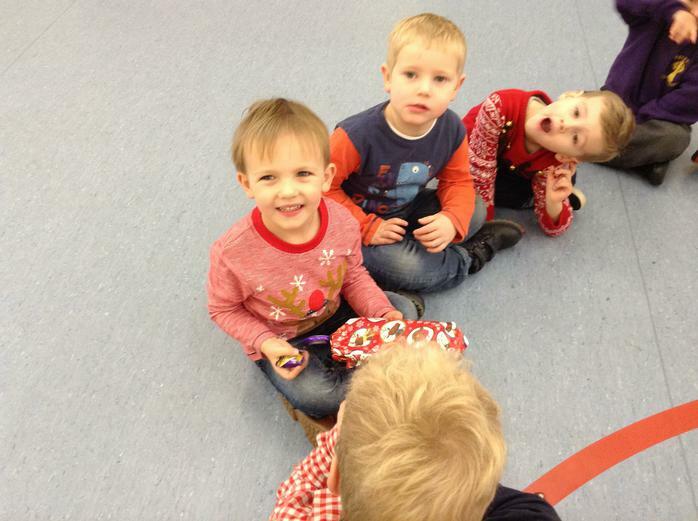 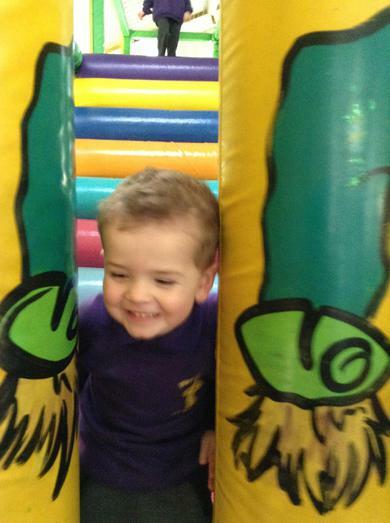 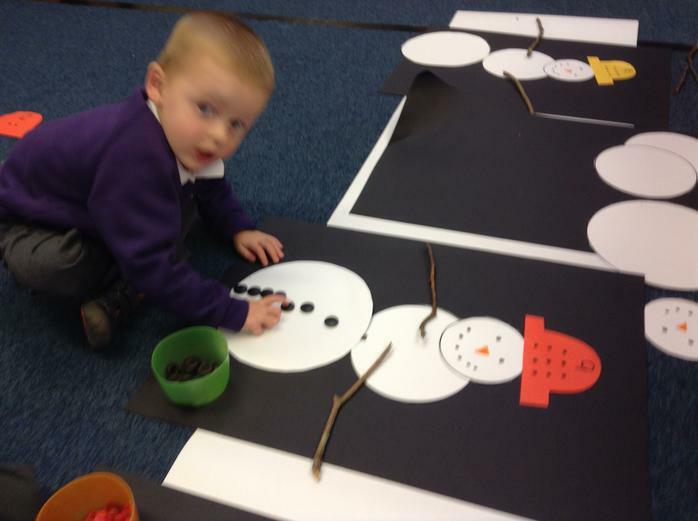 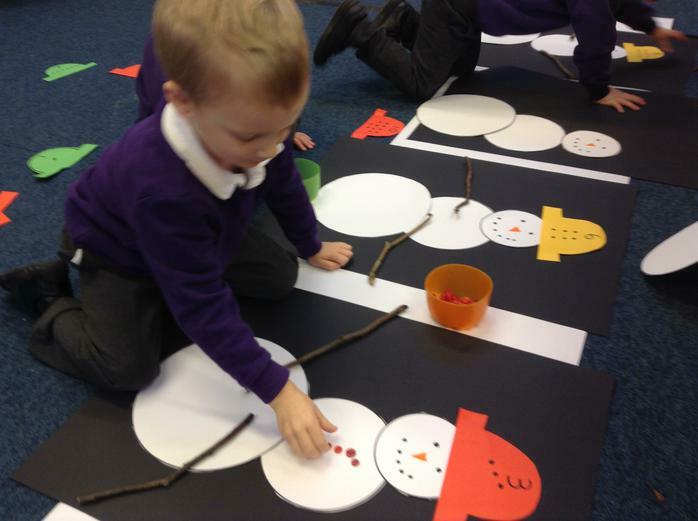 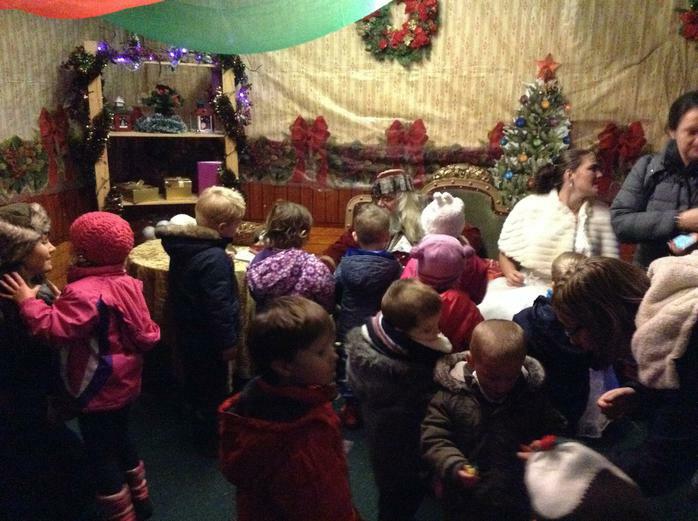 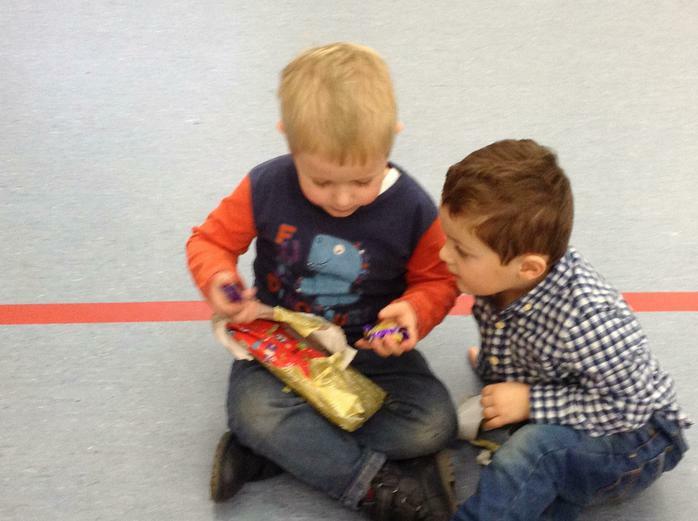 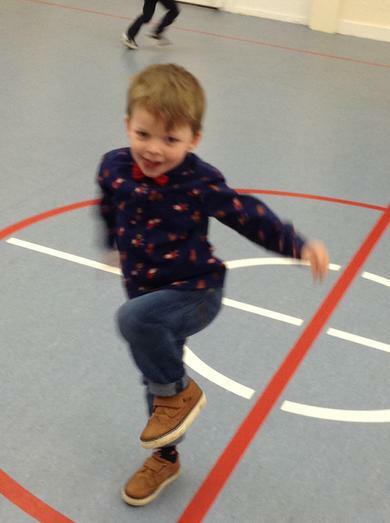 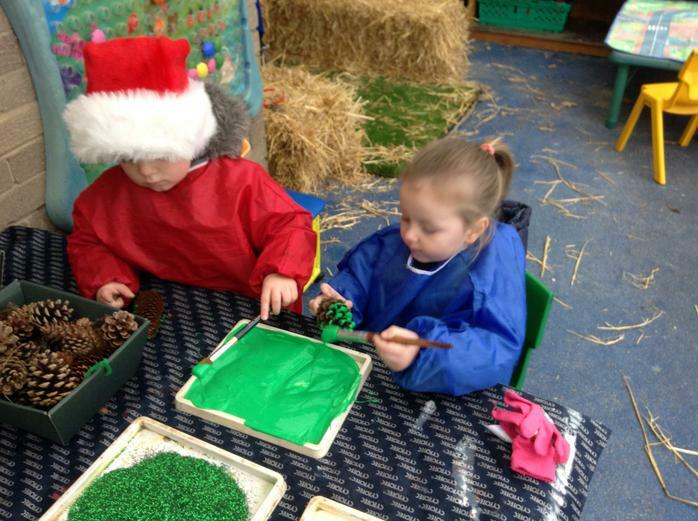 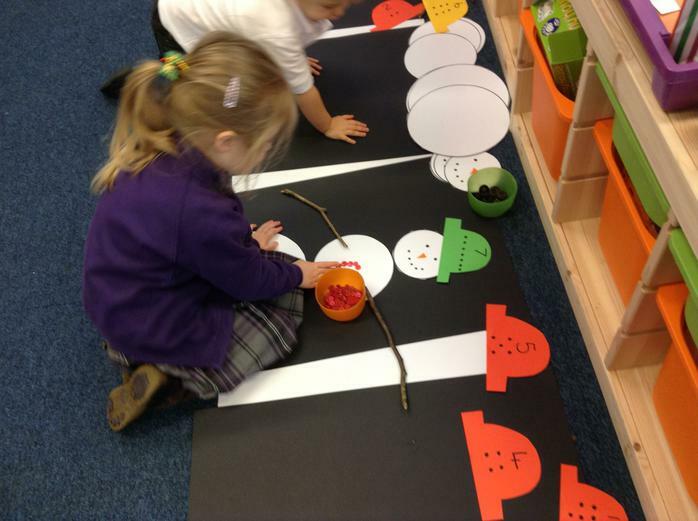 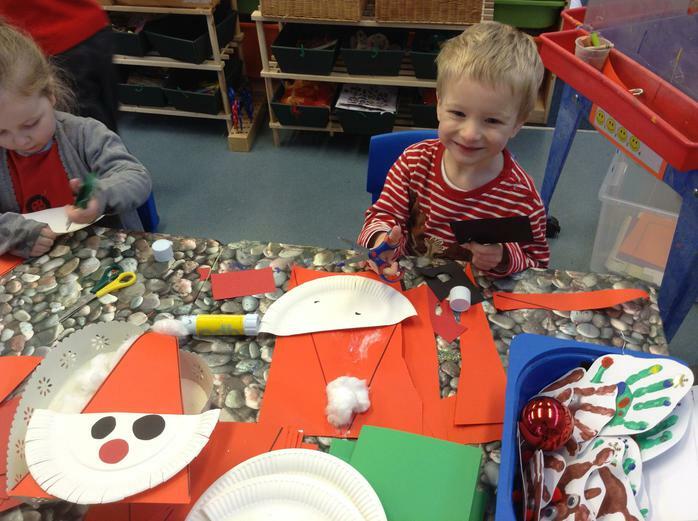 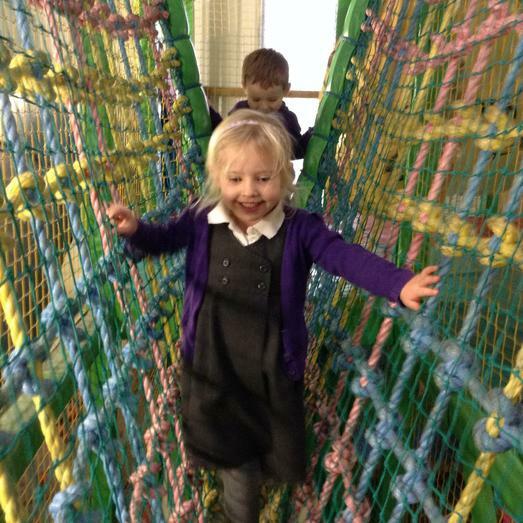 Our Nursery has been jam packed full of Christmas activities and treats. 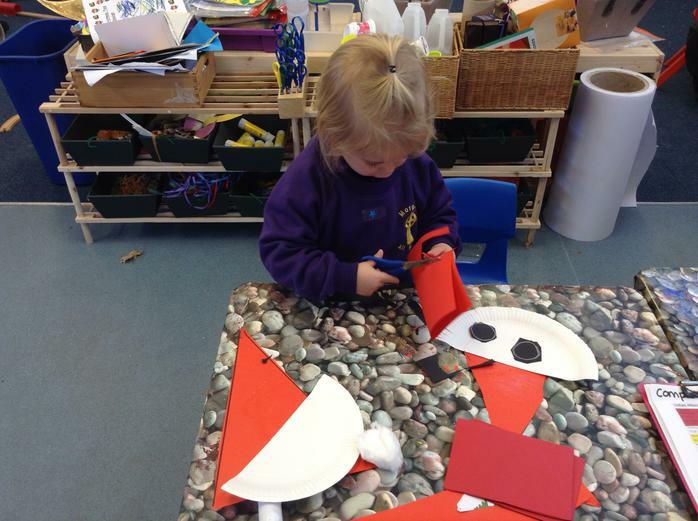 We decided together to make a Santa's workshop for our role play area. 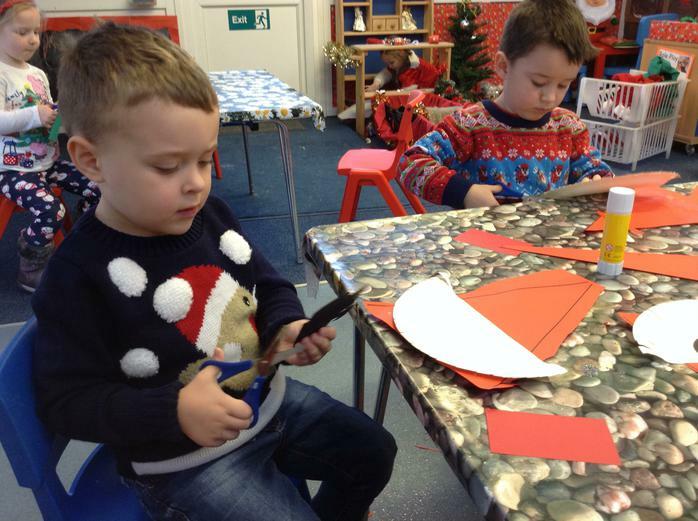 The children came up with a great list of things they thought should be added to the workshop. 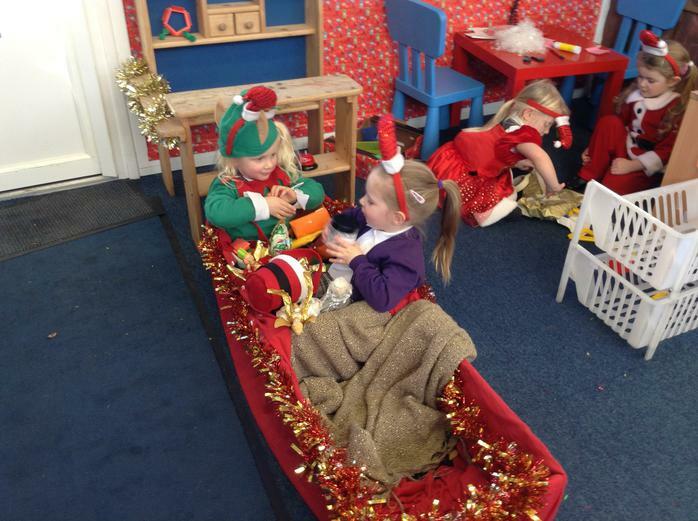 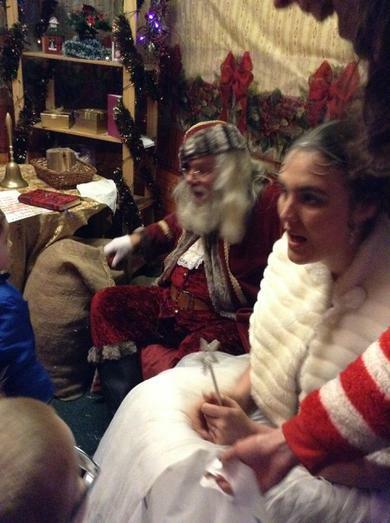 They included carrots, reindeer, elves, parcels, gifts, lists, a sleigh, Santa and also a rocket! 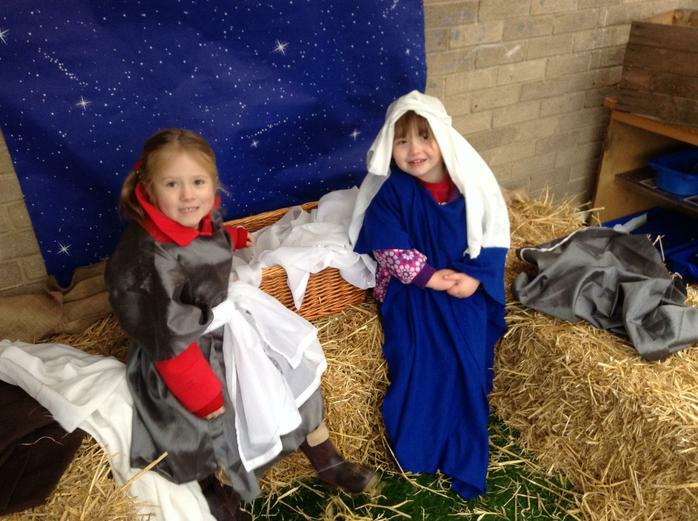 In our outdoor area we re created the Nativity Scene with the help from a very generous parent, who donated three bales of hay. 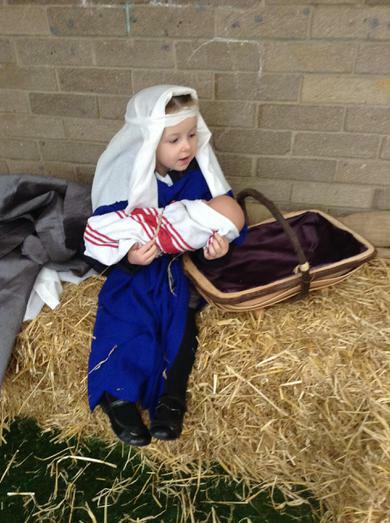 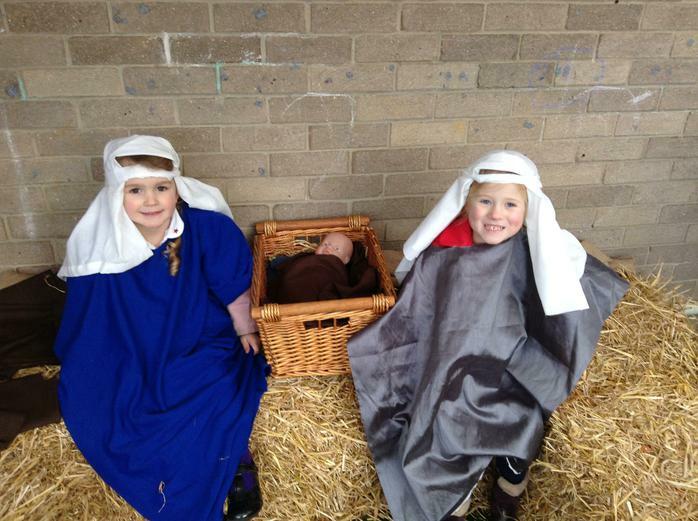 We really enjoyed getting dressed up as Mary, Joseph and the shepherds. 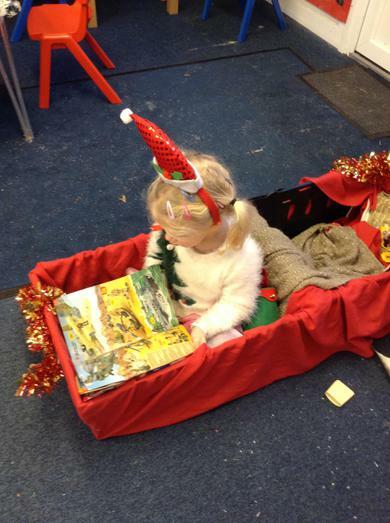 We had a school Elf shop, where we could choose our own gift for a grown up. 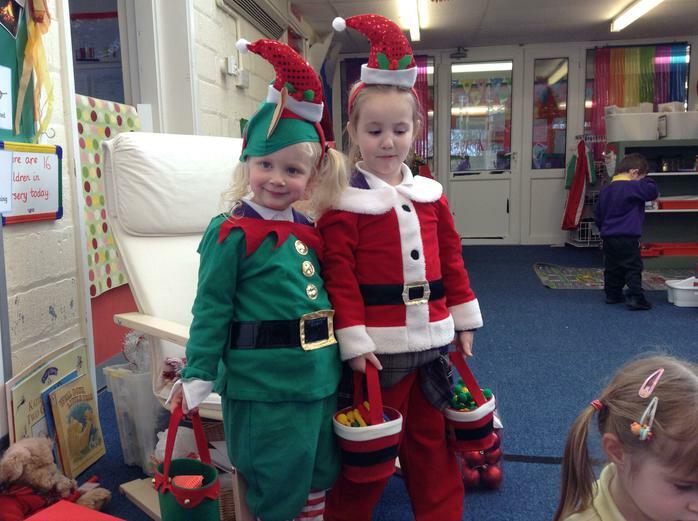 The helpful elves then wrapped the presents with us. 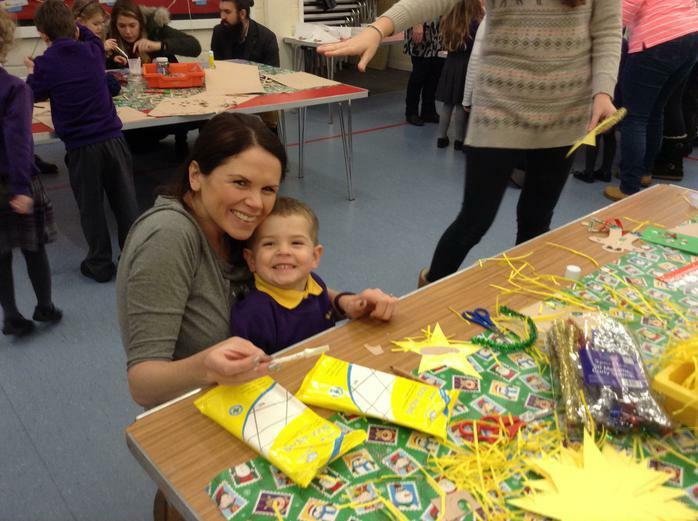 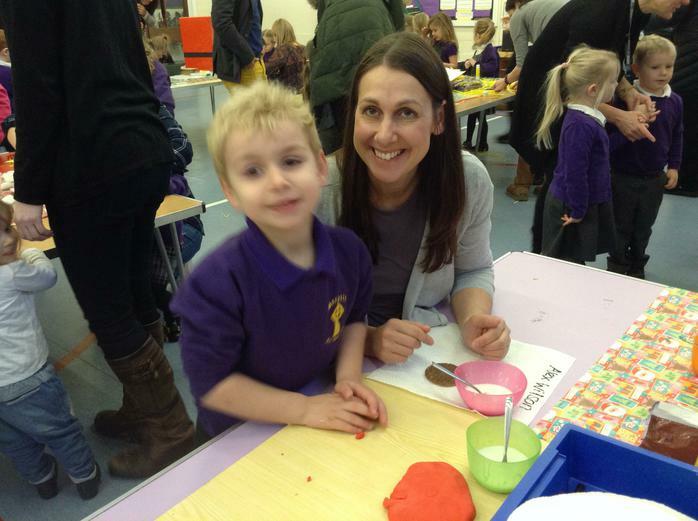 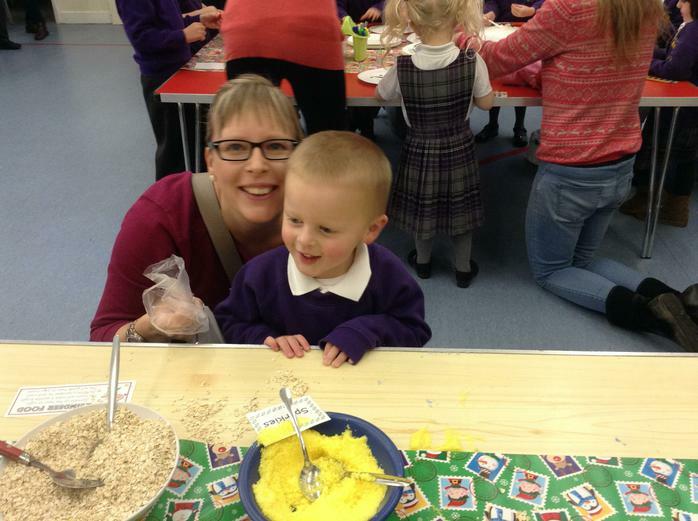 Our family craft morning was full of smiles and happy children. 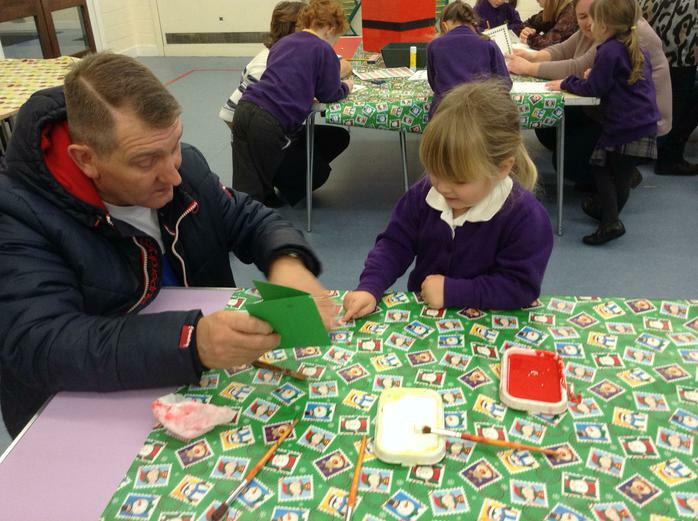 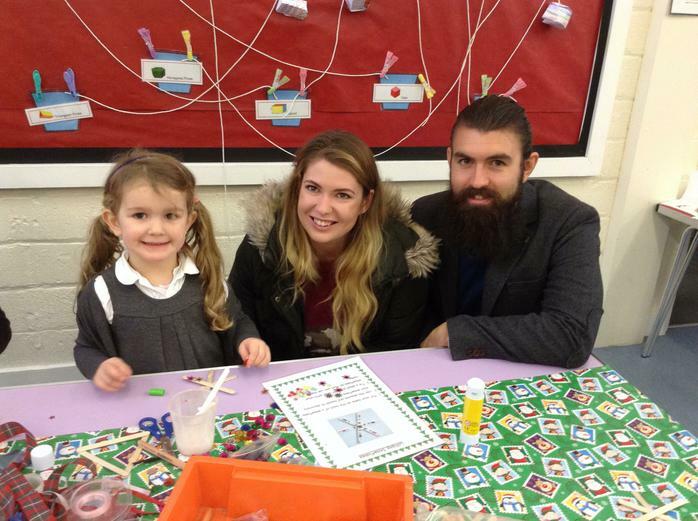 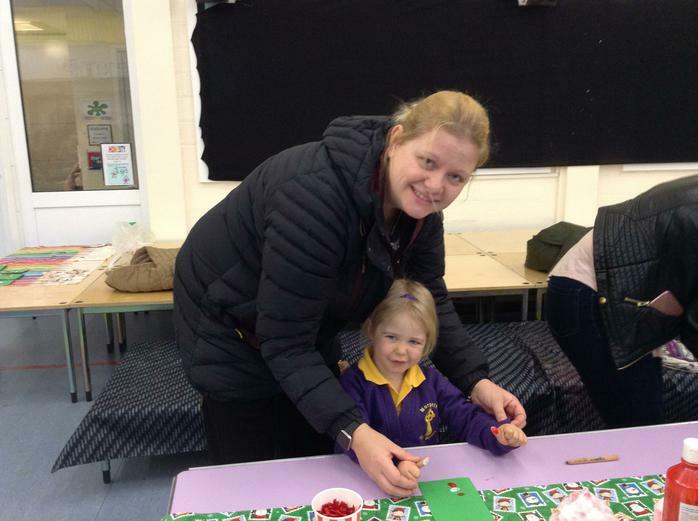 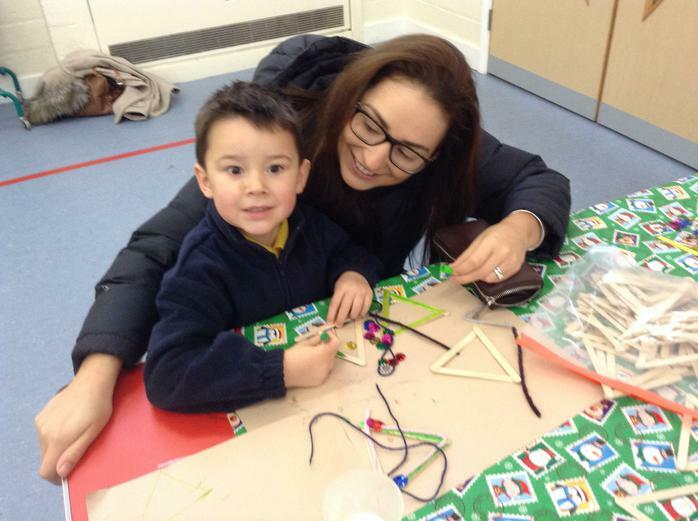 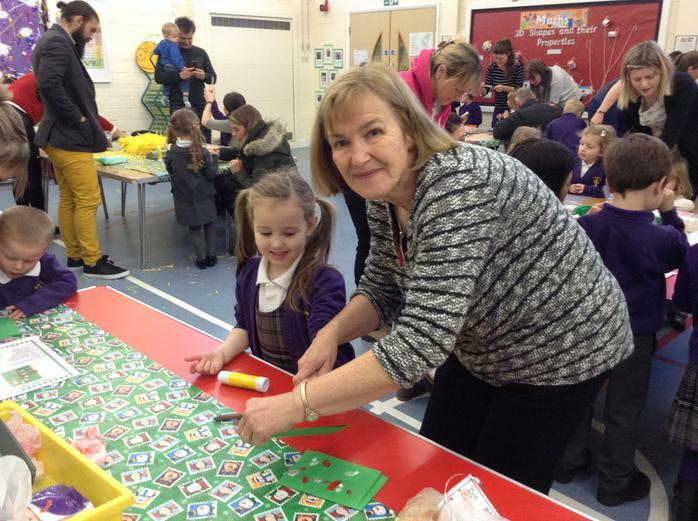 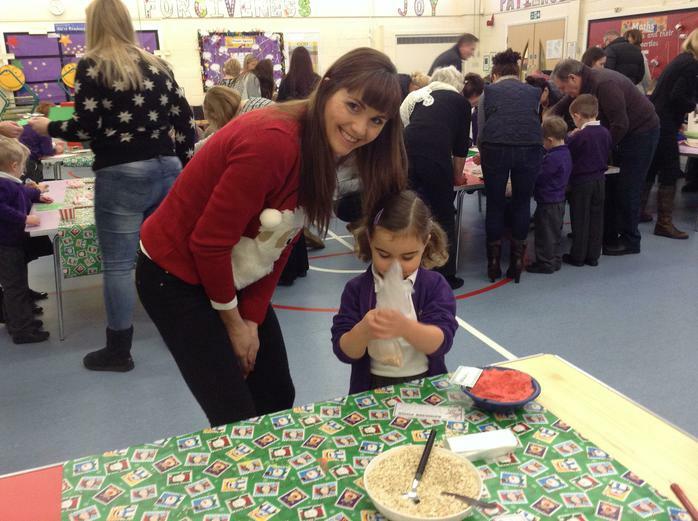 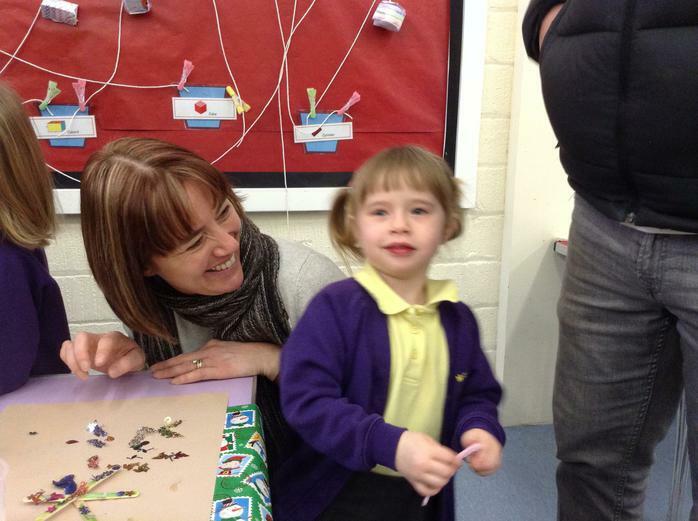 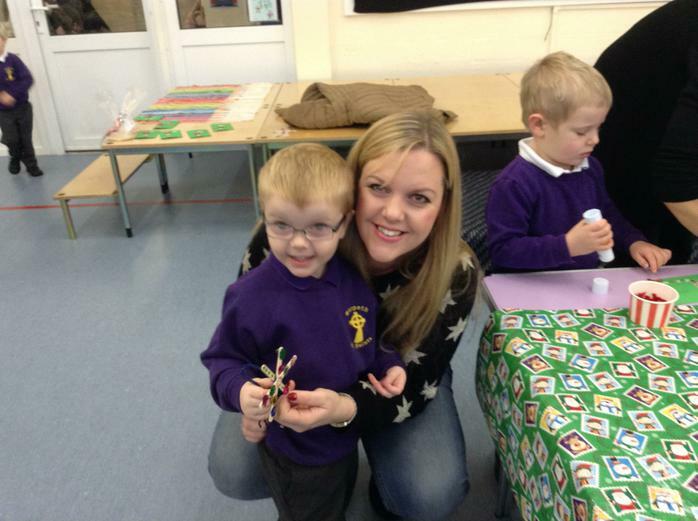 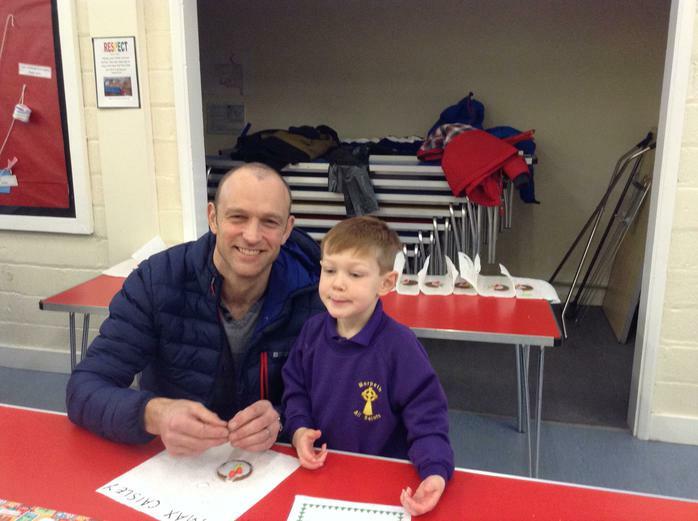 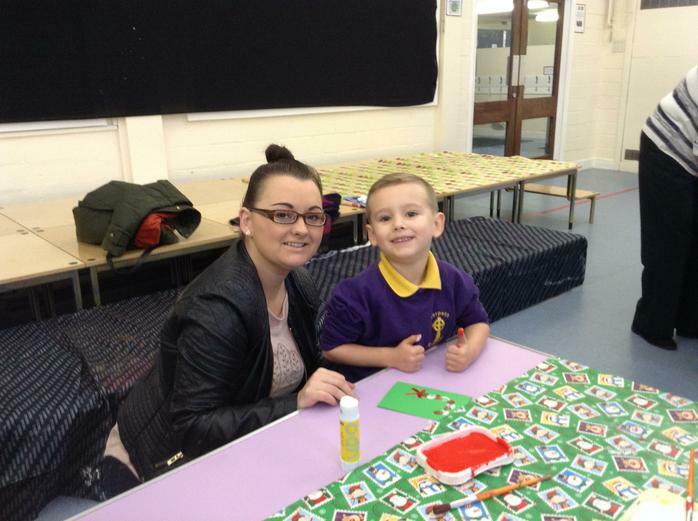 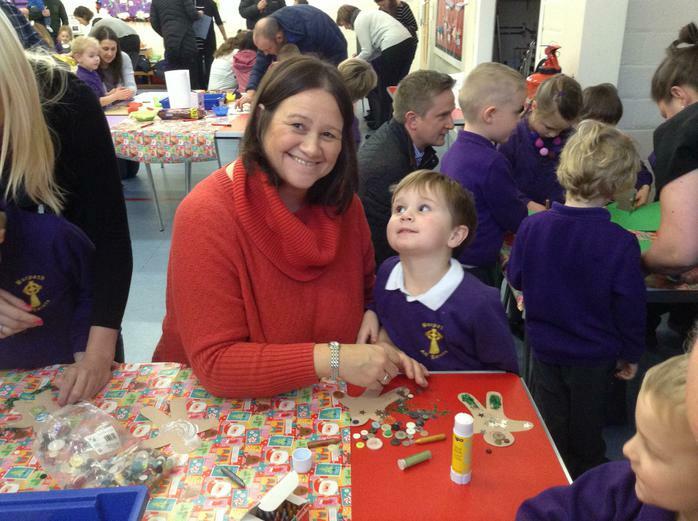 We enjoyed sharing time with our grown ups and loved making Christmas crafts to take home. 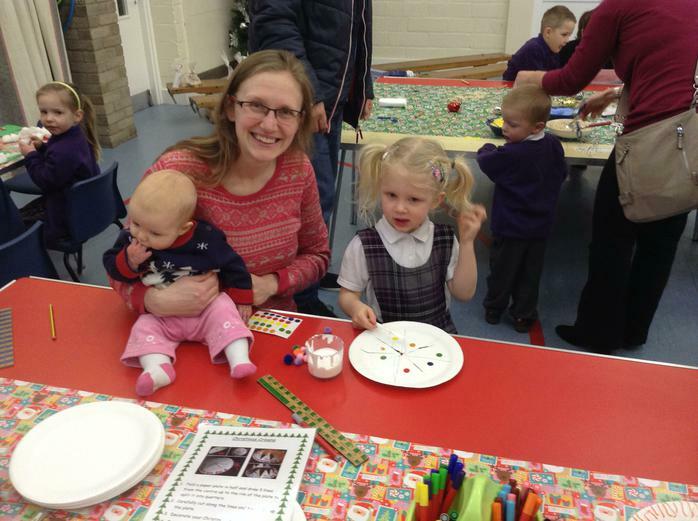 At the end of the Family Craft Morning we sang songs to the grown ups around the Christmas tree. 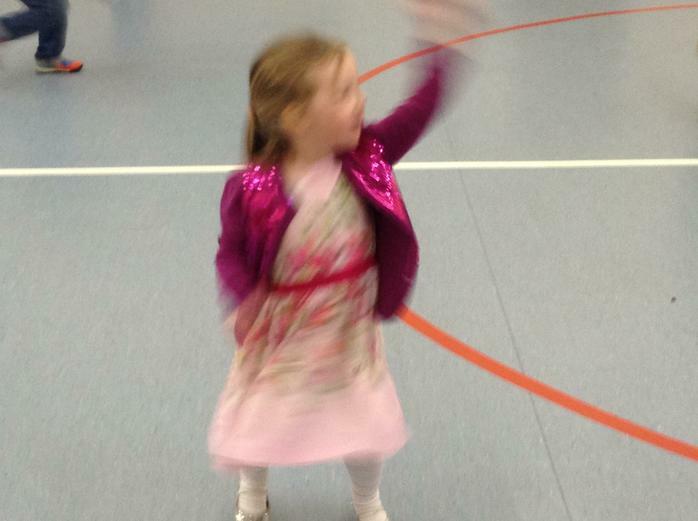 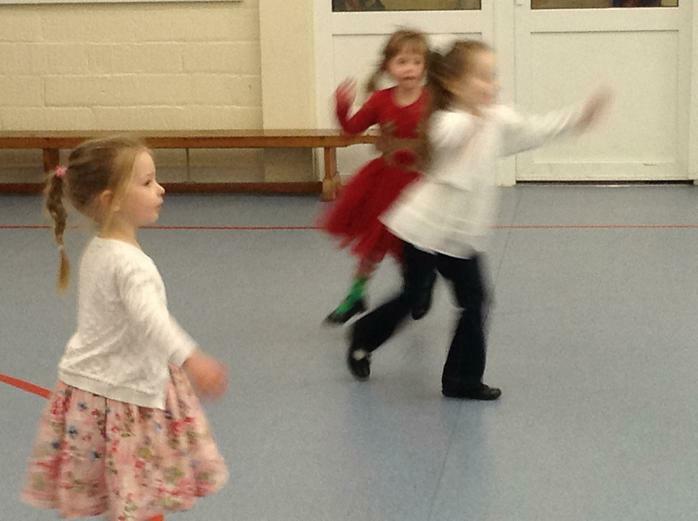 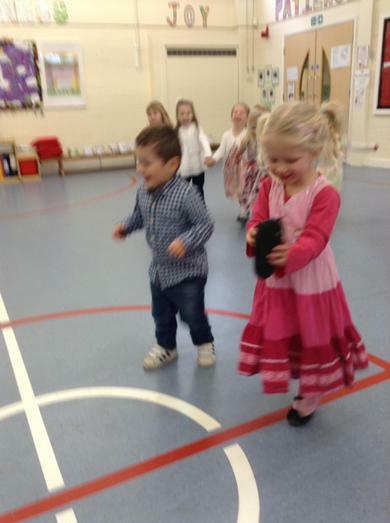 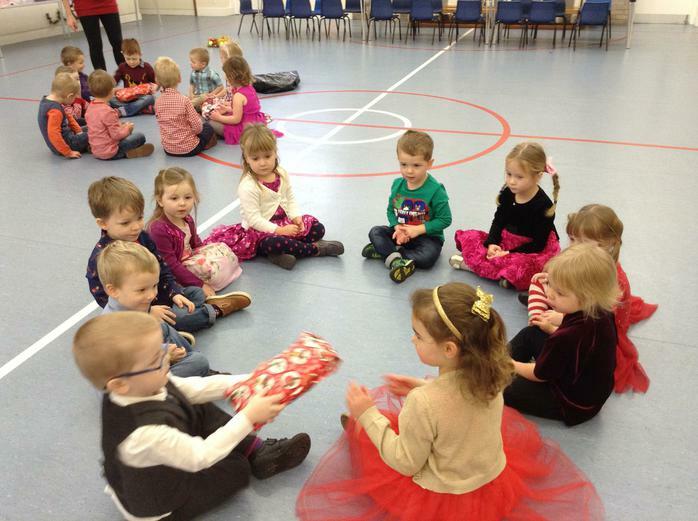 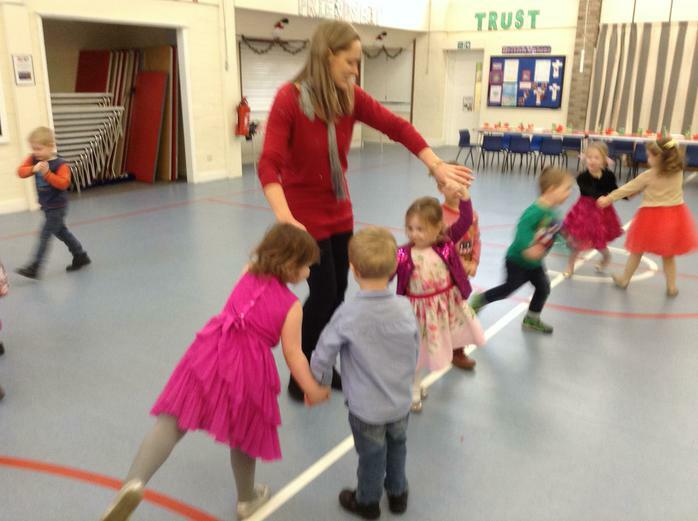 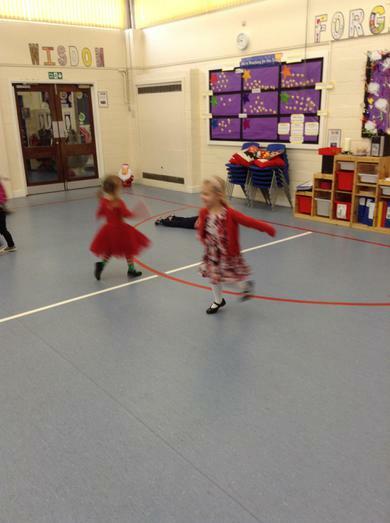 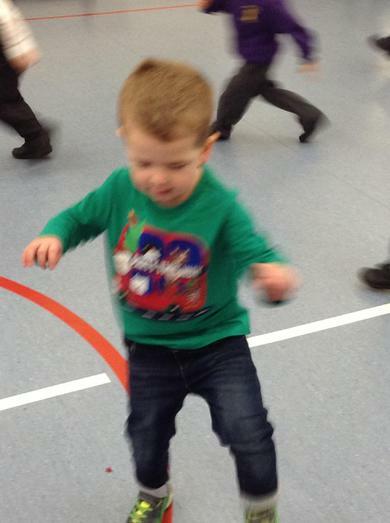 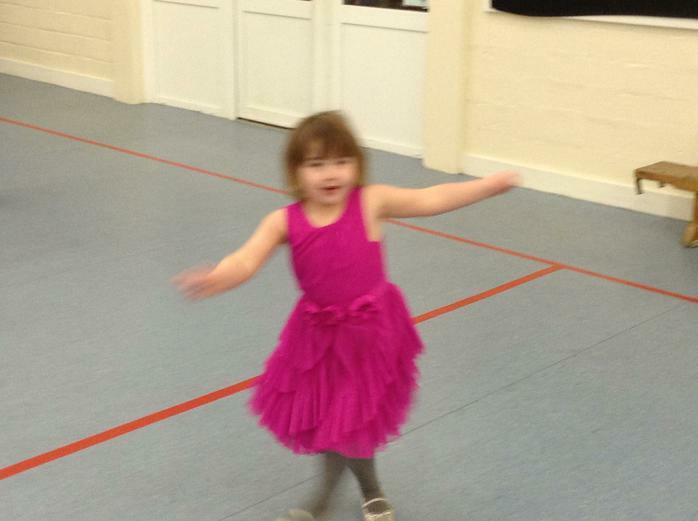 Our Early Years Christmas performance took lots of practise. 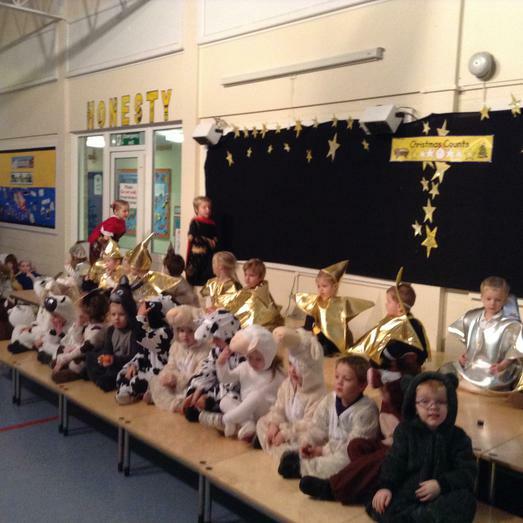 On the day of the performance the children were brilliant! 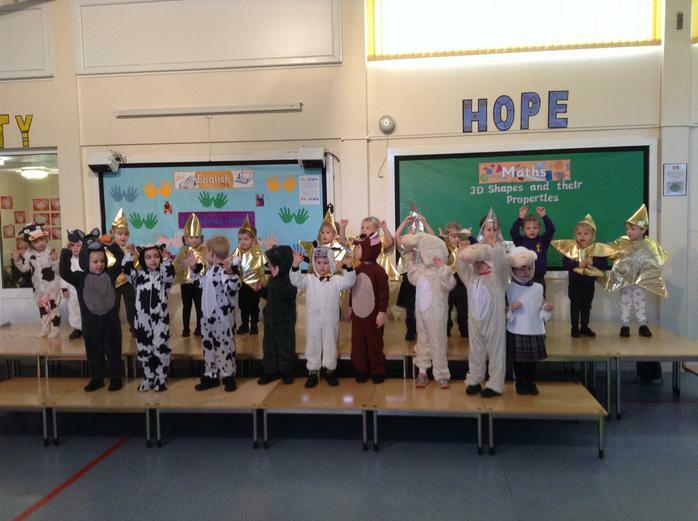 Thank you to all the parents and carers for providing such great costumes. 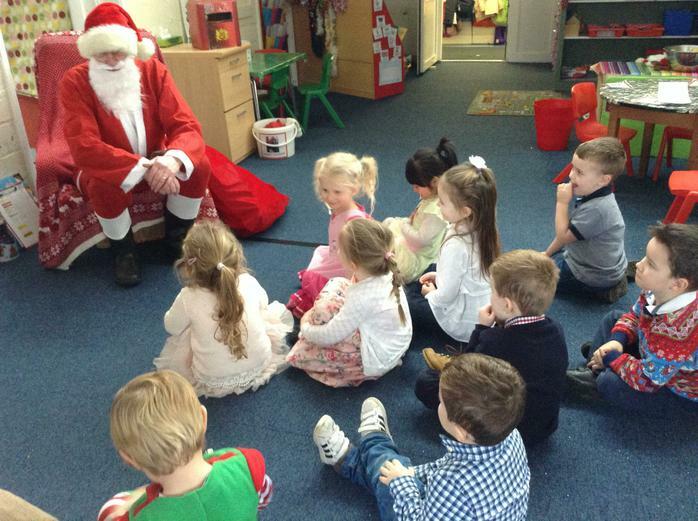 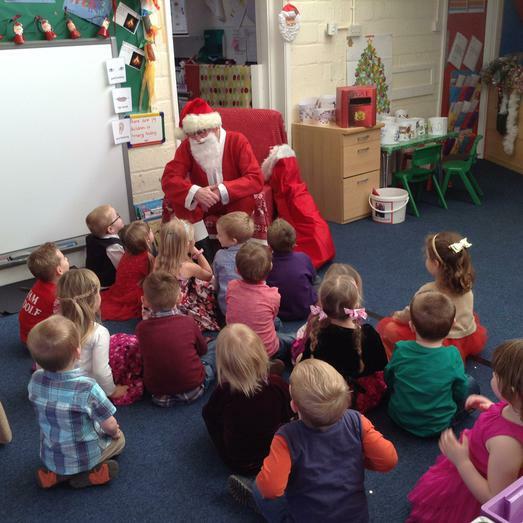 We had a very special visit form Santa during our Nursery Christmas party and he had a surprise gift for each and everyone of us. 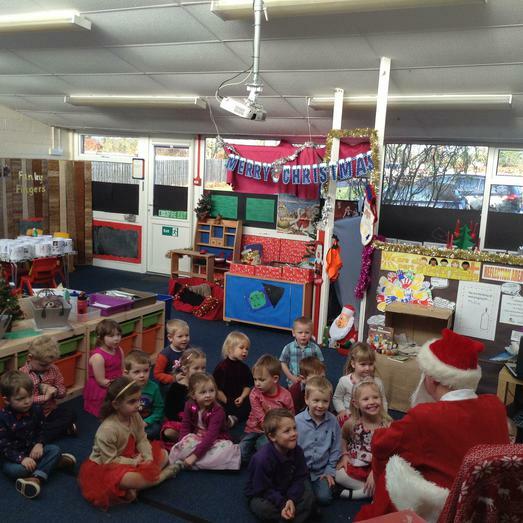 We sang some songs to Santa during his visit. 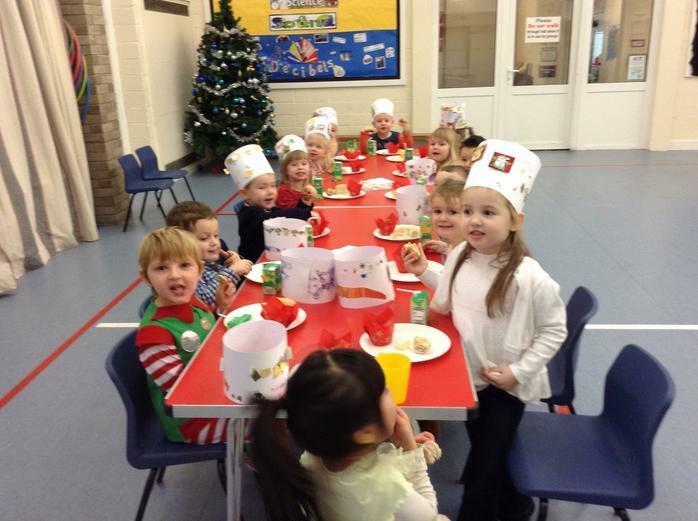 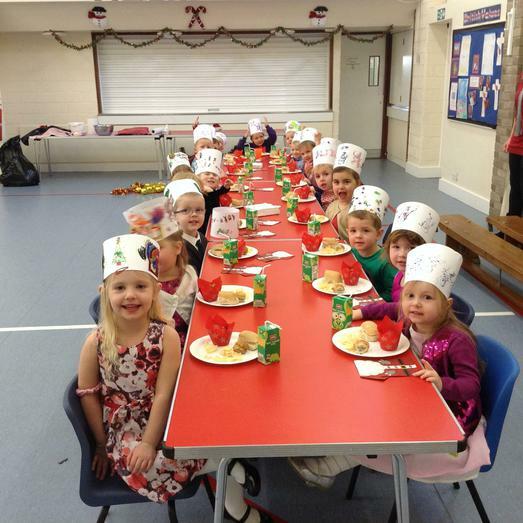 We loved having a Christmas party! 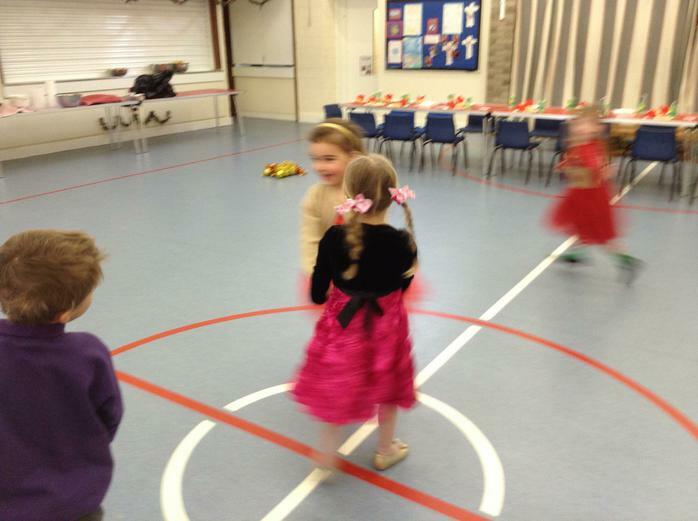 We danced and played lots of party games and we also had some very tasty party food. 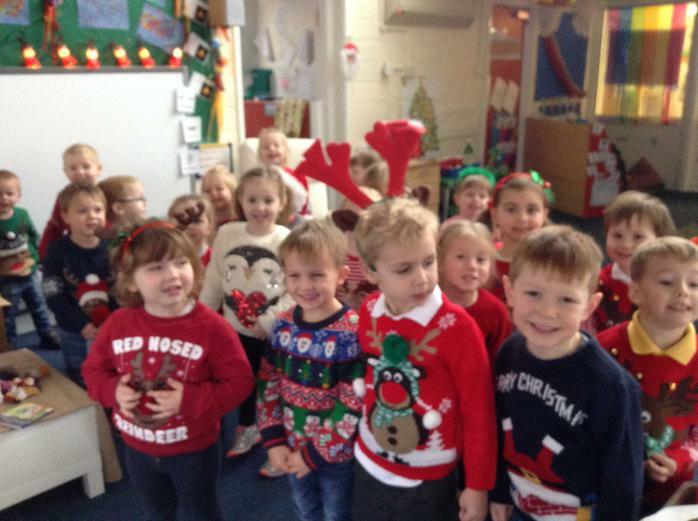 Everyone looked very smart in their Christmas party clothes. 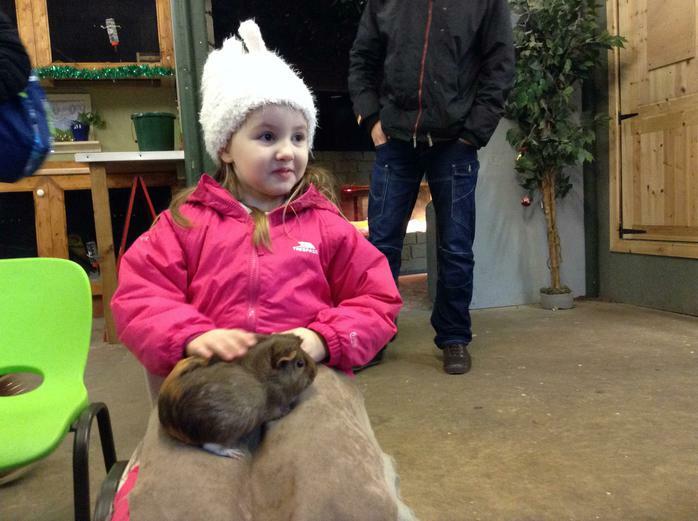 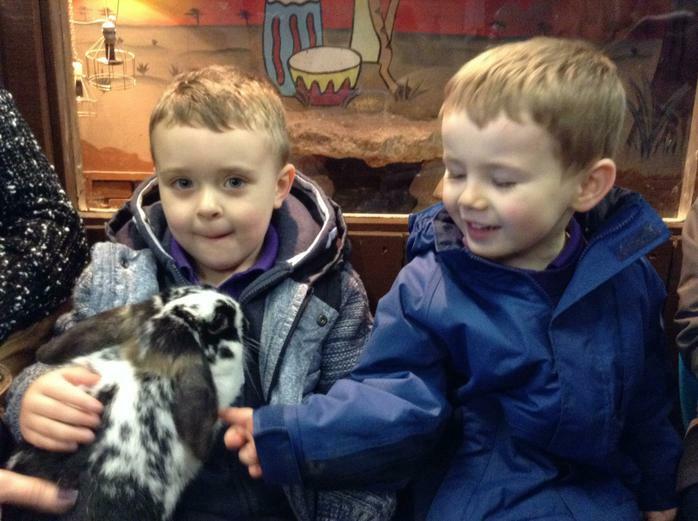 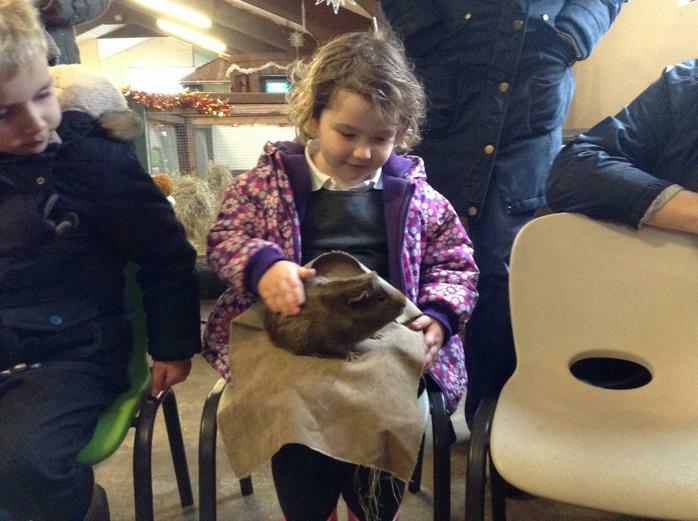 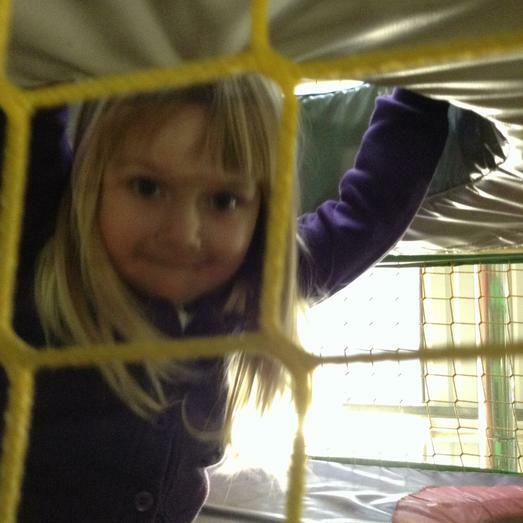 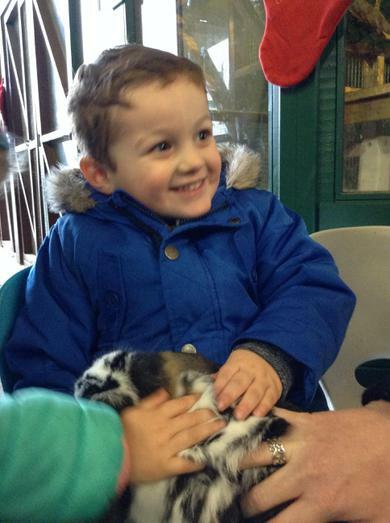 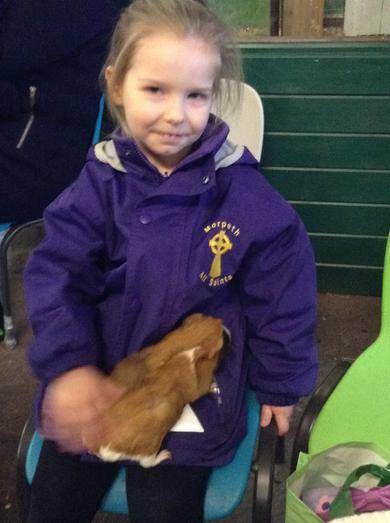 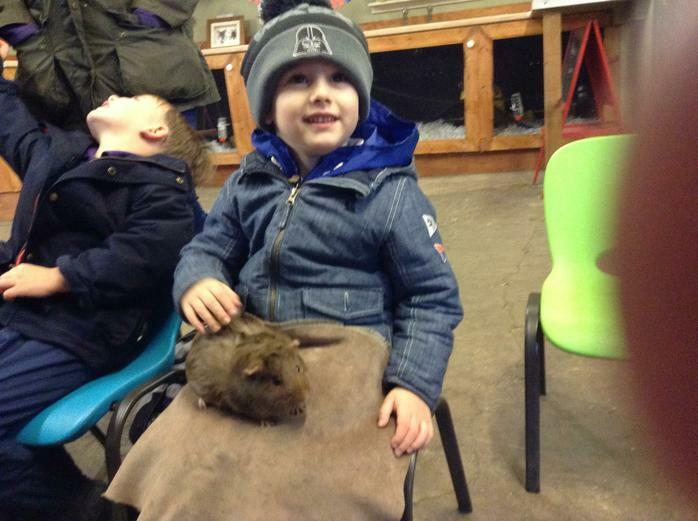 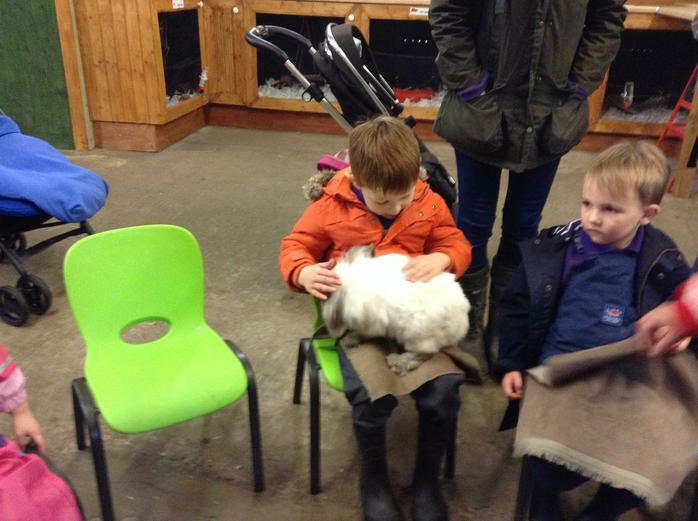 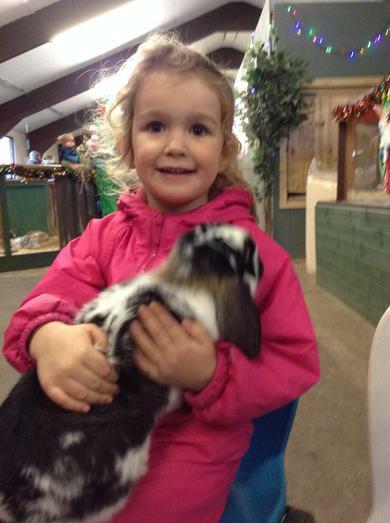 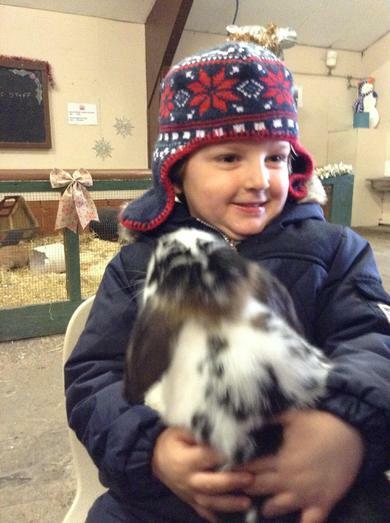 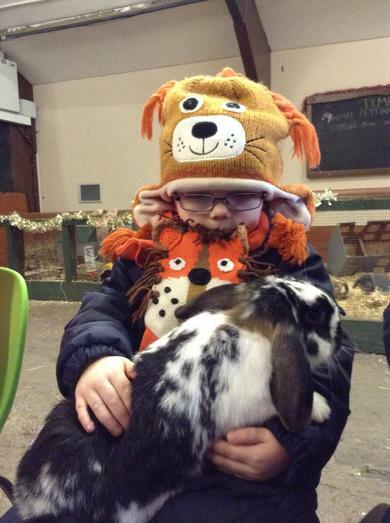 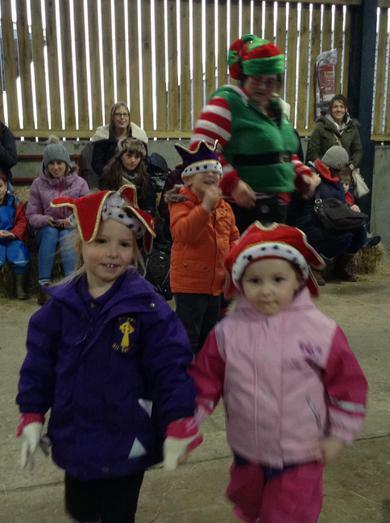 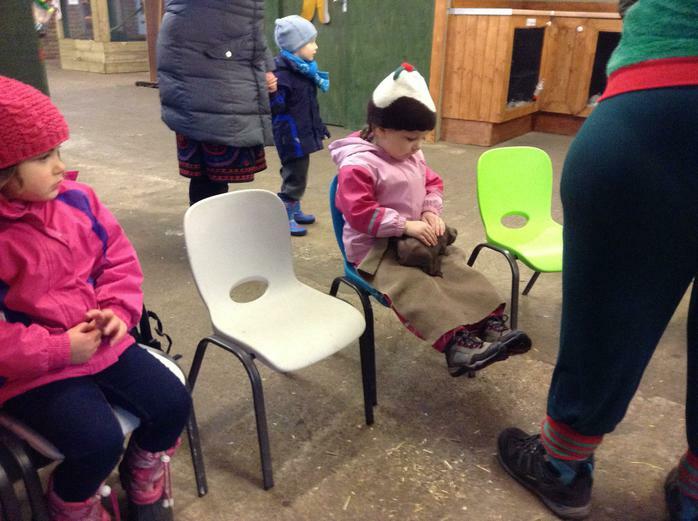 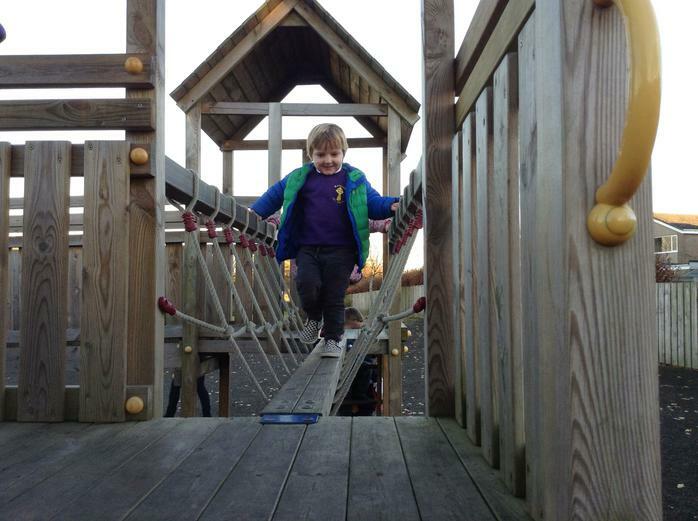 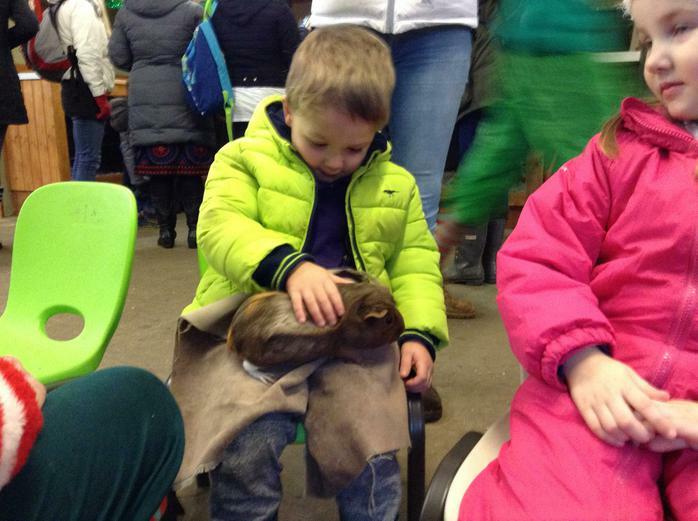 Our visit to Whitehouse Farm was a very special treat for the end of term. 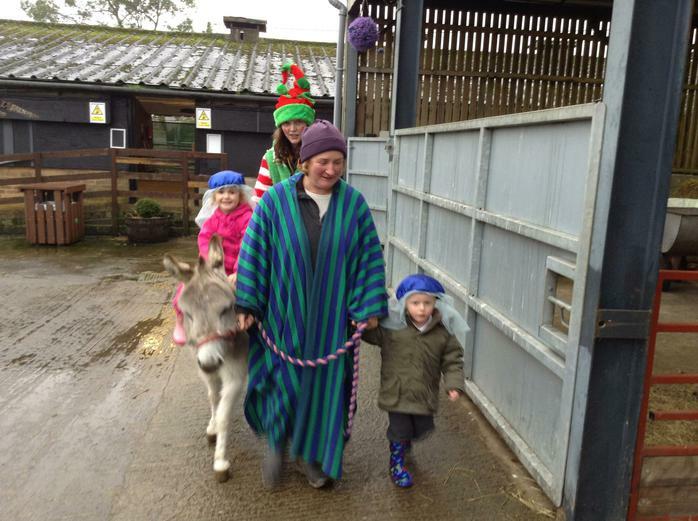 We met Fiona and Sunny Elf. 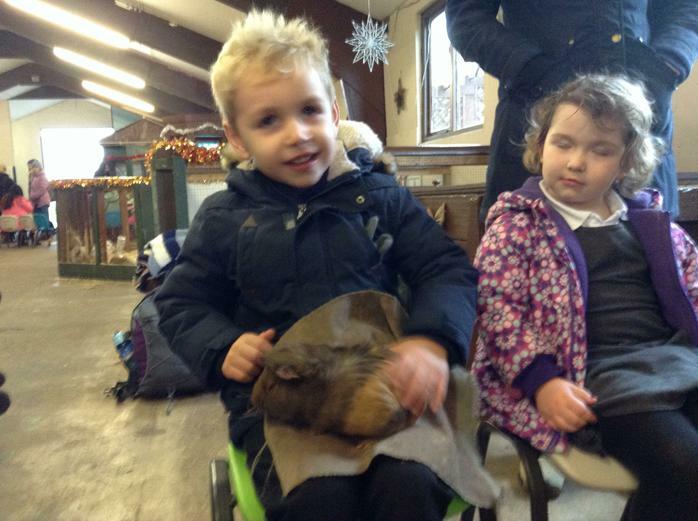 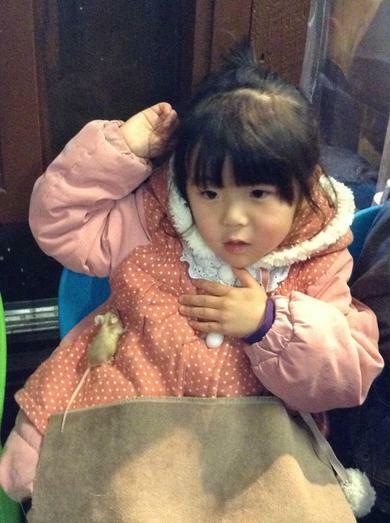 They introduced us to lots of animals and we even held one or two of them. 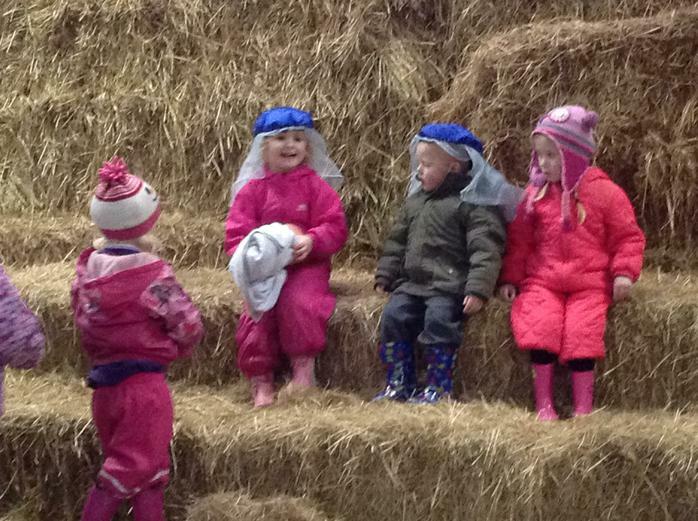 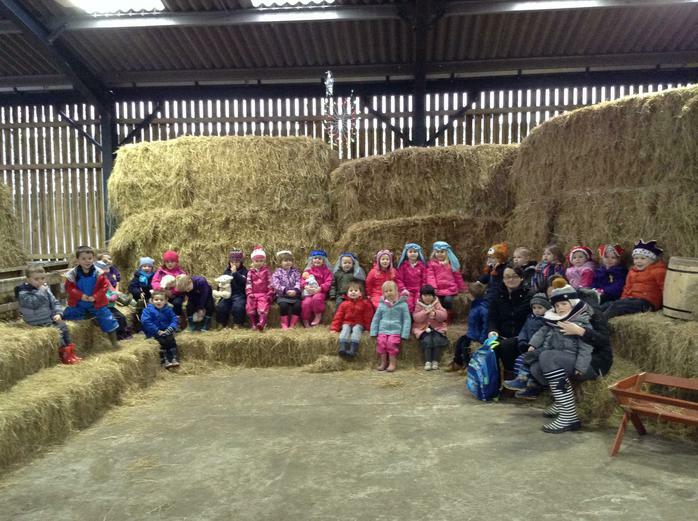 The Nativity Scene in the barn was very special and the children loved taking part and singing one or two Christmas songs. 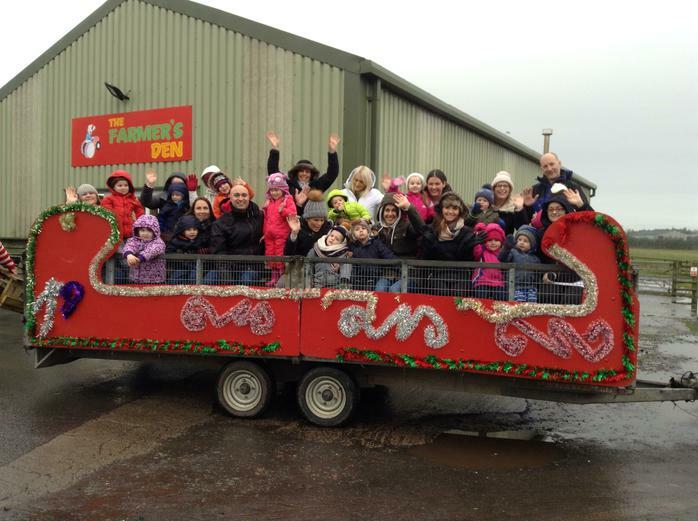 The rain did not put us off and we really enjoyed the Sleigh ride. 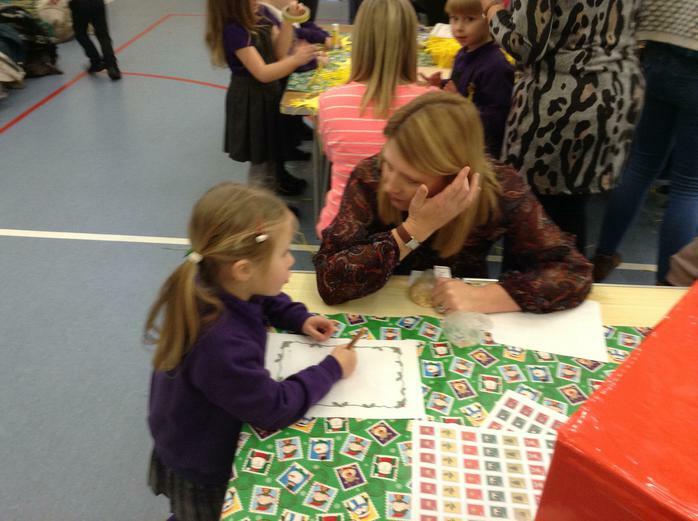 Thank you to all the grown ups who came along to support the visit. 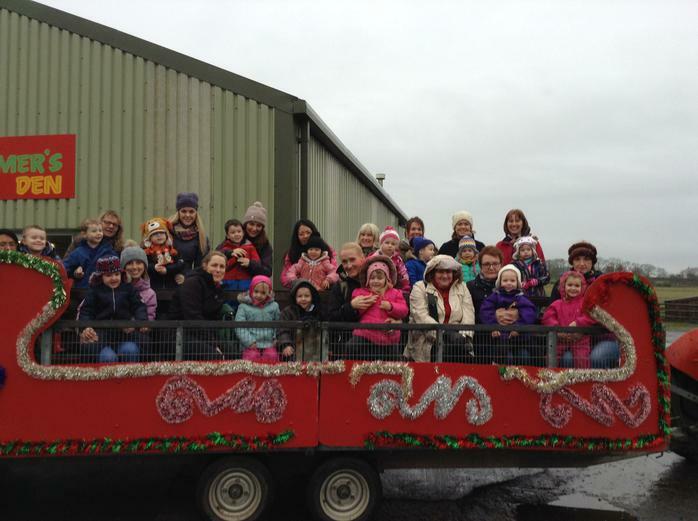 We hope you had as much fun as the children. 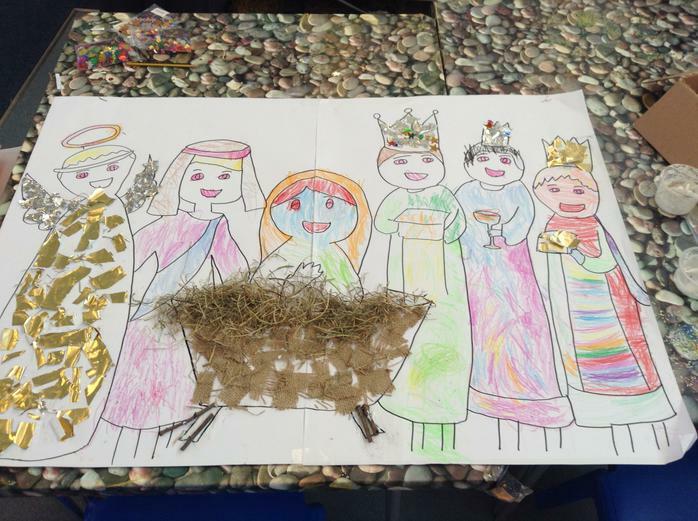 We would like to wish you all a very Merry Christmas and best wishes for a very happy 2017. 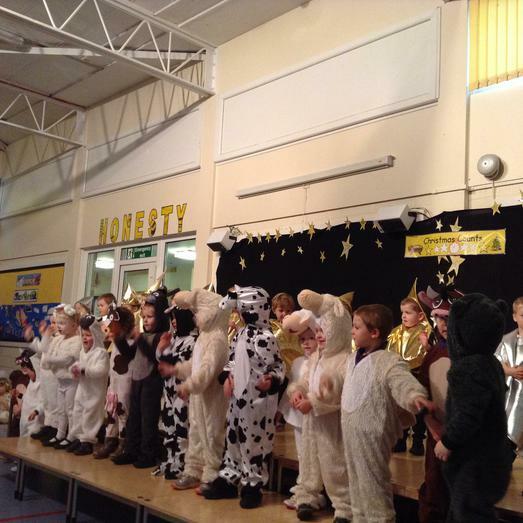 Thank you for all the support you give to Nursery and the children. 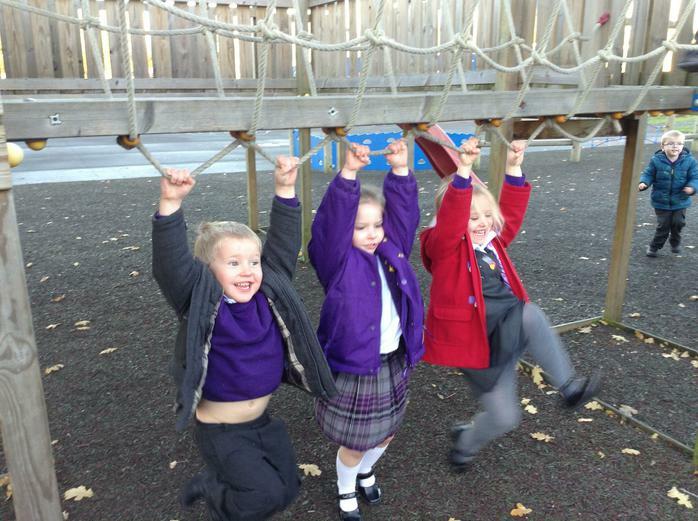 The school re-opens on Tuesday 3rd January. 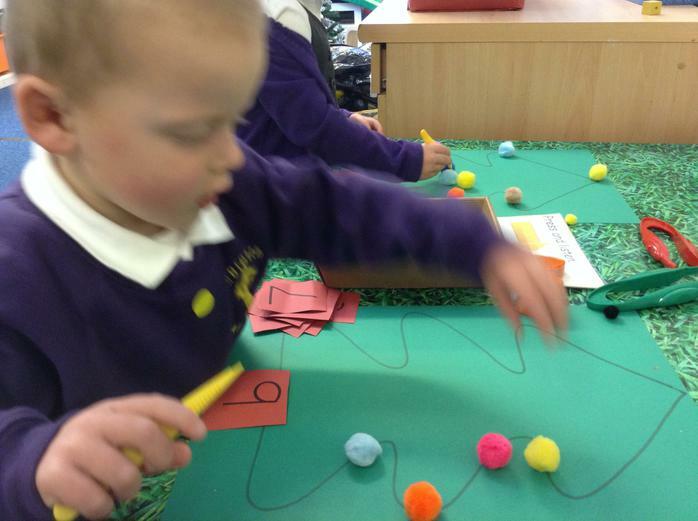 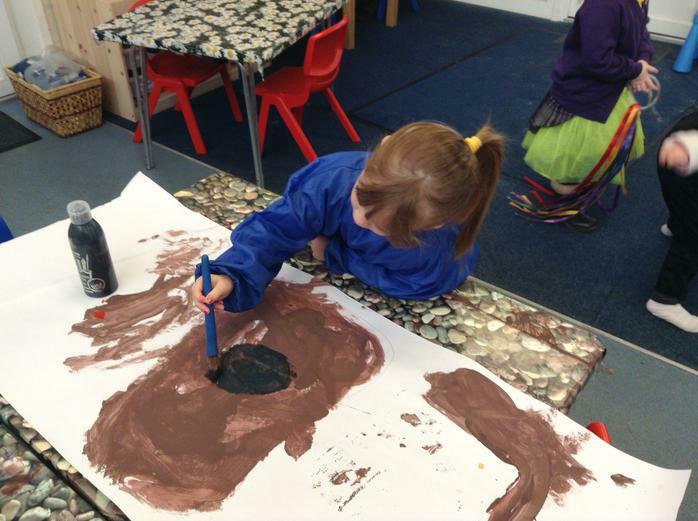 Following the interests of the children, we will be learning about Space at the beginning of the new term. 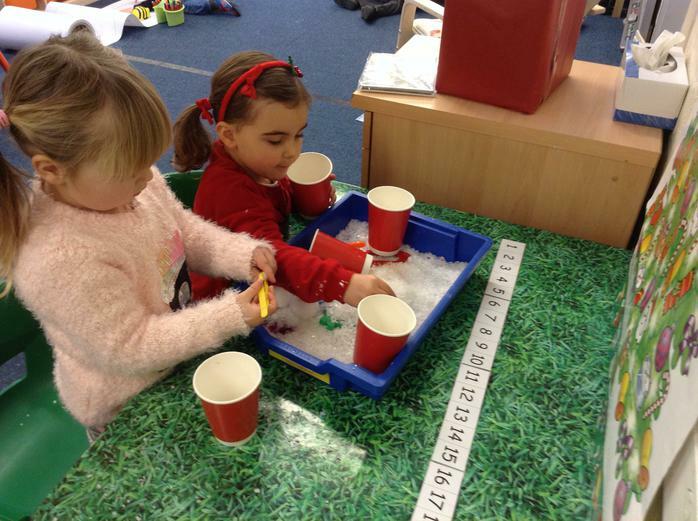 We will also be welcoming our new Nursery children into our class and look forward to learning together. 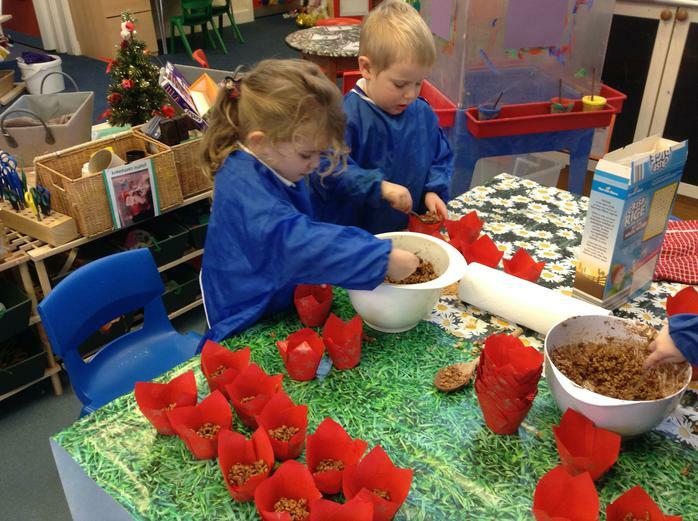 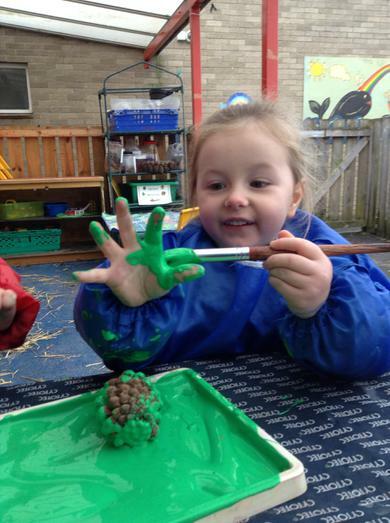 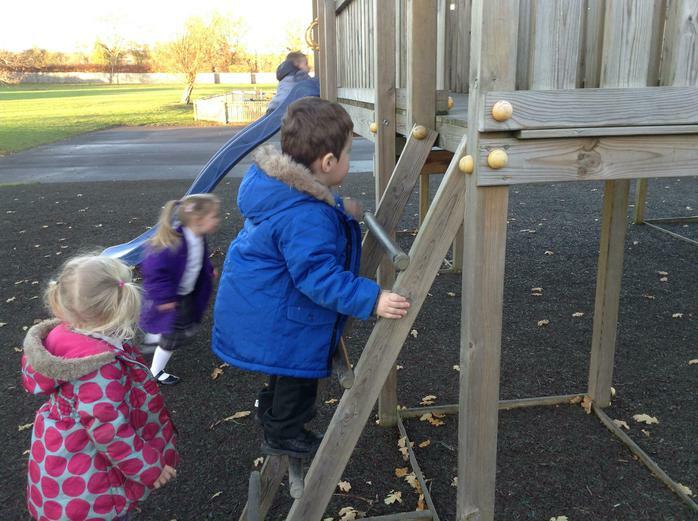 Could all wellies and puddle suits be returned to Nursery for the beginning of term. 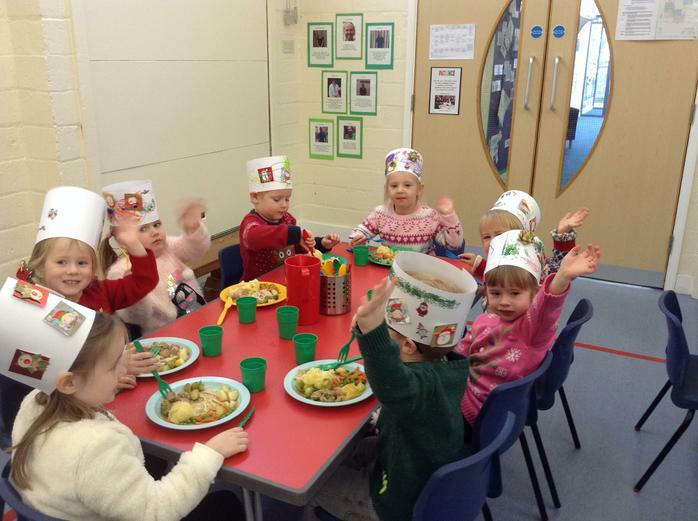 We will start cookery again after the Christmas holidays. 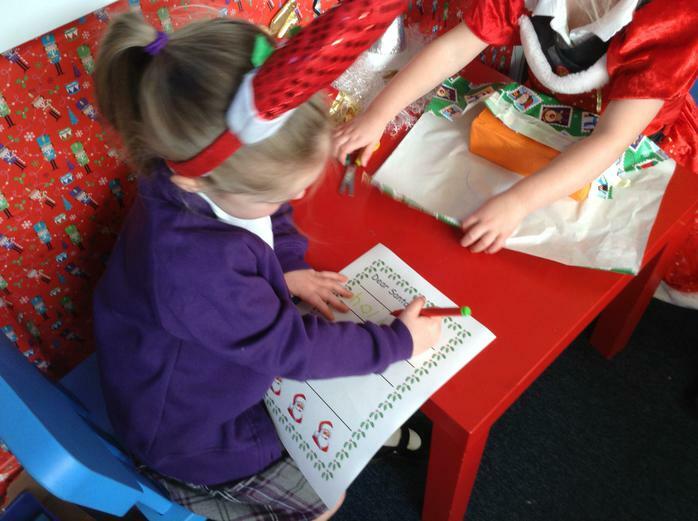 Could you please return the 'My Christmas' Sheet and also the sheet to record what ICT interests your child has at home, on the first day back as we will use this as a discussion starting point throughout the first week.